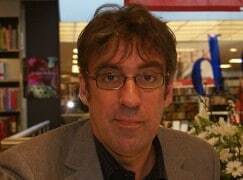 The best-selling Dutch author Joost Zwagerman, 51, had issues with depression. But no-one expected him to take his own life, which he had always ruled out, and least of all the day before the launch of a keenly-awaited new novel. His suicide was discovered on Tuesday evening when he didn’t show up for a radio interview about his new book De stilte van het licht (the silence of light). Much of the music he had chosen for the programme was about death. Full story here on Dutch News (in English).